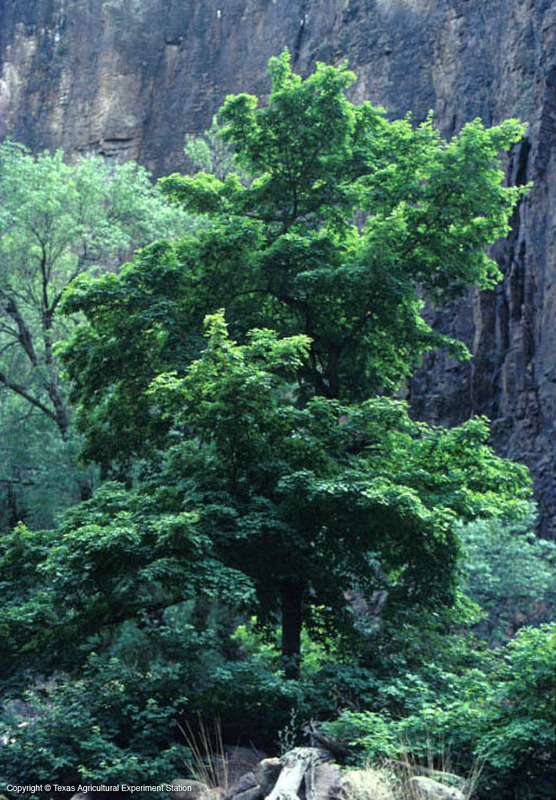 Bigtooth maple is one of the most attractive and interesting Texas trees. 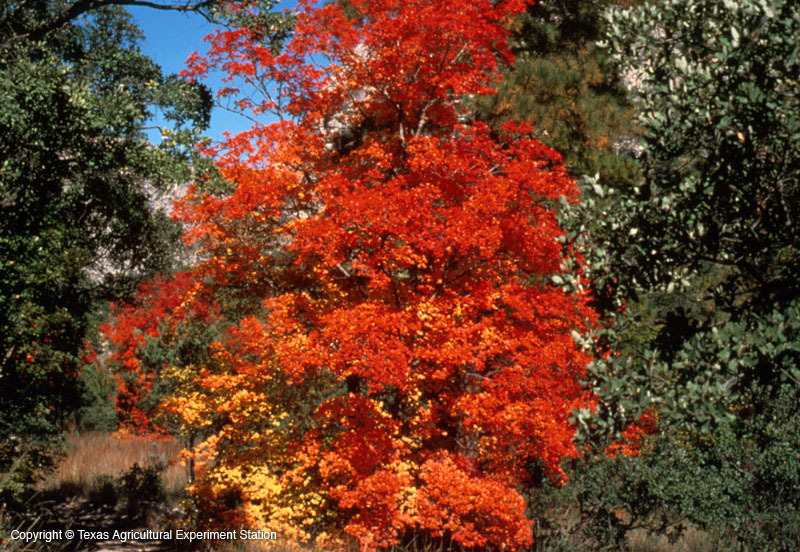 Native to the sheltered canyons of the Edwards Plateau (these are the maples of Lost Maples State Park), the Lampasas Cut Plains and the high country of the Trans-Pecos, it is a small tree up to 50 feet tall. It grows in limestone and igneous soils and is relatively drought tolerant. 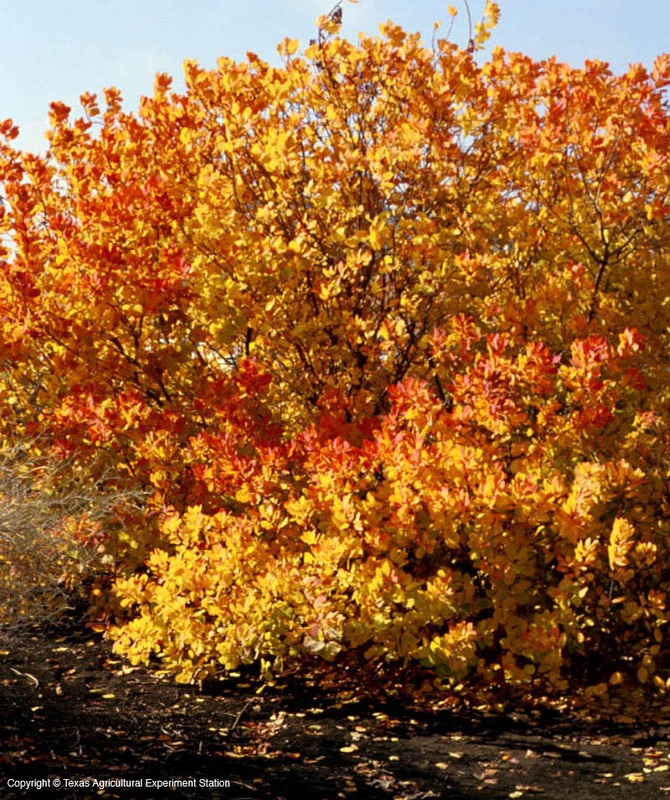 Mature trees have beautiful red and yellow fall color. 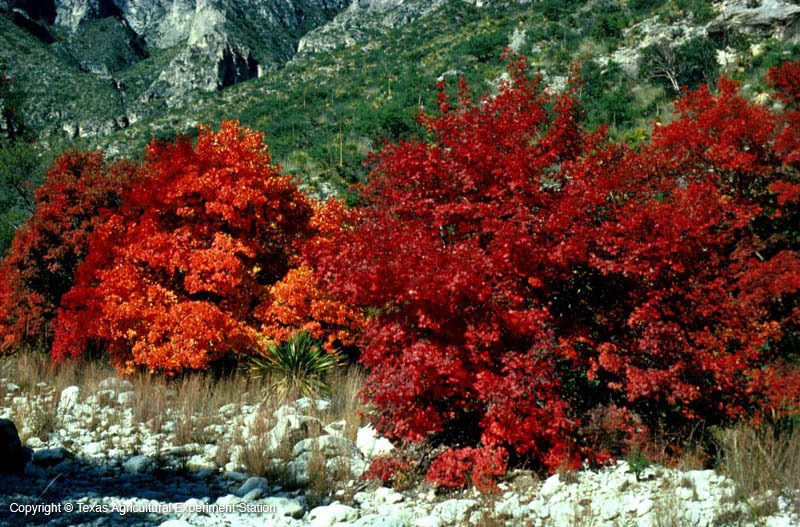 The trees in the Edwards Plateau are found in two confusing forms: A. grandidentatum var. grandidentatum (bigtooth maple), which has three- to five-lobed, toothed leaves, and var. sinuosum (Uvalde bigtooth maple), whose toothless leaves are three-lobed. However, both types of leaves can sometimes be found on the same tree.